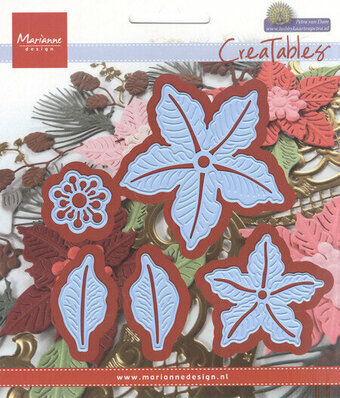 This set of 10 dies will cut all of the elements you need to make perfect layered and embossed poinsettias. Layer the smaller flowers on top of the larger flowers to create great depth in your projects, a perfect embellishment for Christmas projects! Size: (largest) 1.5in x 1.5in. 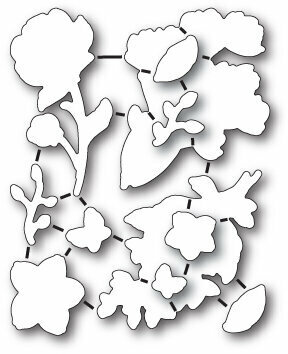 Nellie's Choice - Hobby Solutions Die Cut "Floral-2 Border". This floral border die will make an attractive addition to any project. Size: 3" x 1.25". 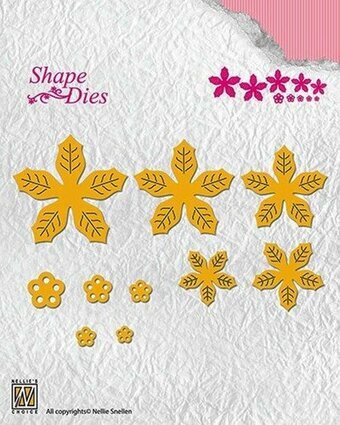 Shape Dies Spring flowers "crocuses" - A beautiful rounded square die that includes a summer floral scene with crocuses. 1 Die. Size: 3.75" x 3.75". Shape Die - Flower 3. 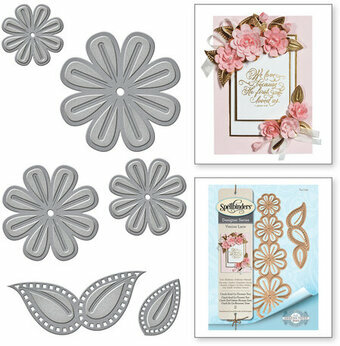 A great die set that includes 4 sizes of flowers and a couple of stars, perfect for layering to get he perfect look! 6 dies. Sizes: Smallest: 0.40" x 0.40", Largest: 1.50" x 1.50". Scroll work and flowers decorate the edges of these ovals. This set of four Nestabilities Decorative Elements coordinate with S4-110 Classic Ovals Large, they stack and layer beautifully. Nest two die templates together to create frames, or stamp images or verses in the center for creative options on cards, scrapbook pages and mixed media art. 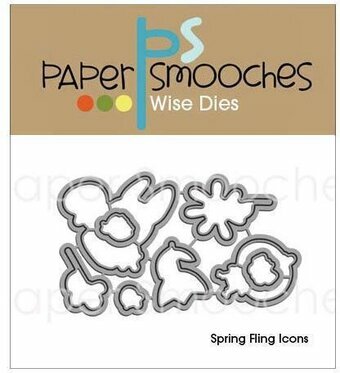 Spellbinders Nestabilities dies cut, emboss and stencil with a single die template. Approximate Die Template Sizes: 1. 3/4" x 1", 2. 1 5/8" x 2 1/8", 3. 2 5/8" x 3 3/8", 4. 4" x 5". Inspired by Denise Boddey and filled with subtle, spiritual and natural themes, this beautiful die set from the Bohemian Bouquet Collection is perfect for creating stunning elements on your next card, scrapbook page or off the page project! This package contains one 2.9x3.5 inch die. This gorgeous outlined rose will make your pages and cards so beautiful! The rose is hand-drawn and one of a kind. This set includes two separate frames. They are sold connected but can easily be clipped apart with wire snips. Use the frames separately or together to stretch the set even further. Approx. size: Rose - 2 1/2" x 1 1/2", Large frame - 2 5/8" x 3 1/4". Craft die from Altenew featuring a flower. If you want to evoke the holiday season in floral form, the poinsettia is where it's at. This gorgeous Die-namics features layers of petals and leaves to allow you to construct dimensional flowers that will immediately impart some holiday magic to your projects. Each piece features emboss-line detailing, providing unparalleled realism. Build a beautiful display or feature one bloom prominently; go for striking red, pale pink, or stark white - you simply can't go wrong with this iconic design. MFT Die-namics, our very own exclusive American-made line of steel dies. Die-namics dies work with your favorite die-cutting machine. Penny Black Creative Die featuring a pinwheel flower. Penny Black Die featuring a flowery corner. Craft die featuring a flower. Memory Box/Poppy Stamps craft dies are made of 100% steel. For use on cardstock, felt, and fabric. Cut, stencil, emboss, create! Use in most leading die cut systems. 2.8 x 4.8 inches. 7.1 x 12.2 centimeters. Craft die featuring flowers. Memory Box/Poppy Stamps craft dies are made of 100% steel. For use on cardstock, felt, and fabric. Cut, stencil, emboss, create! Use in most leading die cut systems. 11 dies included. Poppystamps craft die featuring flowers. Memory Box/Poppy Stamps craft dies are made of 100% steel. For use on cardstock, felt, and fabric. Cut, stencil, emboss, create! Use in most leading die cut systems. Poppy Stamps craft die featuring a flower in a circular frame. Memory Box/Poppy Stamps craft dies are made of 100% steel. For use on cardstock, felt, and fabric. Cut, stencil, emboss, create! Use in most leading die cut systems. Poppy Stamps craft die featuring flowers and words. 12 dies included. 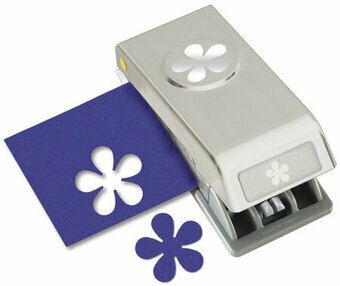 Pretty flowers are so cheerful and this Retro Flower medium punch from EK Tools is one you'll use again and again. Punch locks shut for stacking and storing. Punched image size: 1" high. Love themed Penny Black Creative Die featuring a rose. Craft die featuring a border of flowers. Craft die from Altenew featuring various flowers. Contains 8 dies. Coordinates with the Scribbled Flowers stamp set (ALT1005). Shapeabilities Cinch and Go Poinsettia Etched Dies A Charming Christmas Collection by Becca Feeken is a set of six dies that create dimensional poinsettia flowers for a stunning holiday element on any project. Approximate size: Ring: 0.40 x 0.40 in 1.00 x 1.00 cm, Band: 1.00 x 0.15 in 2.50 x 0.40 cm, Small Flower Layer: 1.50 x 1.45 in 3.80 x 3.70 cm, Medium Flower Layer: 1.75 x 1.70 in 4.40 x 4.30 cm, Large Flower Layer: 2.00 x 1.90 in 5.20 x 4.85 cm. This Shapeabilities Cinch and Go Flowers Two Etched Dies Venise Lace by Becca Feeken includes a set of four different sizes of flowers and a double leaf accent. Spellbinders Shapeabilities cut, emboss and stencil with a single die template. Venise Lace was inspired by the 17th Century Italian style of lace of the same name, which is created from needlepoint instead of embroidery. You can now use this gorgeous style to add some Italian flair to your projects. Approximate Size: Double Leaf: 2.30 x 1.00 in. 5.8 x 2.5cm, Small Flower: 1.00 x 1.00 in. 2.5 x 2.5cm, Medium Flower: 1.25 x 1.25 in. 3.2 x 3.2cm, Large Flower: 1.55 x 1.55 in. 3.9 x 3.9cm, Extra Large Flower: 1.95 x 1.95 in. 5.0 x 5.0cm. Spellbinders Shapeabilities cut, emboss and stencil with a single die template. Marisa Job brings sweet wonderful personal touches and details to her Special Occasions Collection. A sweet open style basket with layering designs to place flowers, treats and small keepsakes. Die cut 1 bottom and 4 sides of basket. Fold score lines and assemble by gluing tabs to create basket base. Die cut 4 plain panels, 4 scalloped panels, 1 plain handle and 1 scalloped handle. Layer scalloped pieces onto plain pieces. Adhere panels to top and bottom of each side of basket, creating a bowed, decorative effect. Glue on handle. Embellish with flower and leaf dies. Assembled size: 5.00 x 5.00 x 5.50 in. Approximate Size: Bottom: 2.55 x 2.55 in; Side: 2.95 x 2.95 in; Plain Panel: 2.30 x 3.00 in; Scallop Panel: 2.50 x 3.00 in; Handle: 0.50 x 6.00 in; Scalloped Handle: 0.75 x 6.00 in; Vine: 2.80 x 0.75 in; Sm. Flowers: 0.55 x 0.50 in; Lrg. Flowers: 0.85 x 0.80 in; Leaf 1: 0.35 x 0.65 in; Leaf 2: 0.40 x 0.75 in; Double Leaf: 0.75 x 0.60 in. Frantic Stamper Precision Die - Single Boho Flower. 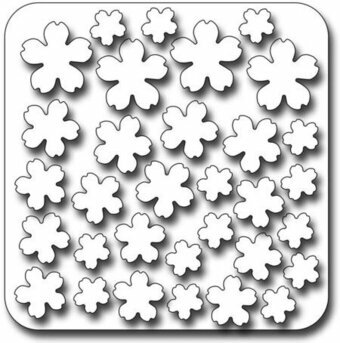 A fun geometric floral design measuring 2"x2". It pairs well witht he Boho Flowers (FRA10275) too! Our Frantic Stamper Precision Dies work in most consumer table top die cutting machines such as the Cuttlebug, Big Shot, vagabond, Boss Cut, and Grand Calibur. Some dies may require the use of a metal shim depending on your machine. This 5 piece die set allows you to create a single rose either in bud form or in full bloom. Cut one or several to create a beautiful bouquet for your loved one! This Framelits Die Set showcases the imaginative style of Stephanie Ackerman. The Framelits Dies in this are compatible with the BIGkick, Big Shot and Vagabond machines (used with a pair of Cutting Pads and the machine's included Platform; when using the Essentials Platform or Solo Platform & Shim, the Extended Adapter or Solo Adapter is required). All items sold separately. Sizzix Thinlits die featuring a foldable box of flowers.